Over the past year, I’ve had the delightful honor of getting to know the work of adult entertainer and celebrity Jillian Janson. Not only is Ms. Jansen’s presence on the big screen charming, but also it is heartwarming to see an artist of such magnitude operate on a grassroots level. Janson is an incredible model, entertainer, friend, and mentor. Her artistic endeavors have expanded to the literary world upon the release of The Billionaire and the Bartender. The Billionaire and the Bartender is a delightful tale about Janson’s visit to Las Vegas to do some public relations work but turns out to be an opportunity for romance, eroticism, and adventure. I was deeply impressed by Janson’s cinematic writing style and some of the captivating moods that she is able to easily translate into words. Without giving too much of the story away, I also found that the work possessed an even deeper psychological symbolism as Janson’s Gemini nature rises to the surface in a narrative about a choice between two men, possibly the astrological equivalent of the twins. 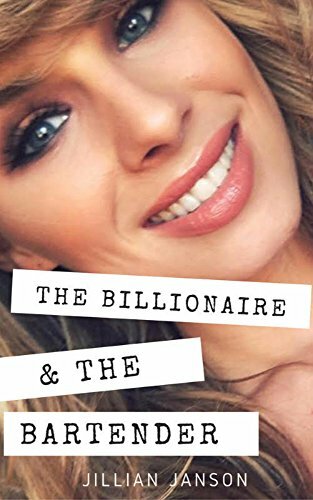 The Billionaire and the Bartender by Jillian Janson will have you on the edge of your seat until this passionate tale explodes into its suspenseful conclusion that will surely leave readers with an admirable “Oh my god, no she didn’t” mood respectfully. The read isn’t that long and is somewhat reminiscent of how legendary writers like H. P. Lovecraft built their catalog. Hopefully, we will have an upcoming surprise involving Ms. Janson that our readers will not want to miss. Make no mistake about it, The Billionaire and the Bartender is a masterpiece!